Hood originally started out writing a book that was a half-assed fictionalization of a very turbulent period of his life when he was 27. The book eventually stopped coming but the songs continued to pour out. Most of this album comes from a short period of time between February and June of 2011. 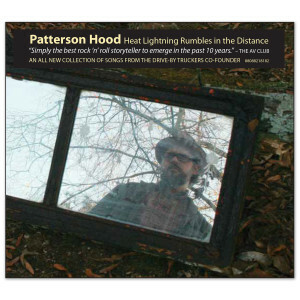 Hood says, “The songs begin in the period that the book was set in, but don't end there, as they really just were the impetus for writing about the life I am living now and contrasting it with the troubled times of two decades ago. It is in some ways the most personal album I've ever made. There has always been a lot of me in all of the albums we've done, but usually semi-disguised as character sketches and stories, but the first person narrative in this one is pretty firmly rooted in autobiography, albeit in two dramatically differing time periods."